My Pet Partner’s name is Roxie. 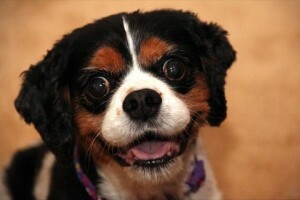 Roxie is a Cavalier King Charles Spaniel, famous for their affectionate nature. We had the honor of participating in Akron Children’s Doggie Brigade from July of 2011 to June of 2012. Though we only had one year of visiting due to Roxie’s heart condition, we still accumulated a fair amount of stories for our memory banks.